Okay, most of you are thinking the same thing; there is no such thing, not possible. 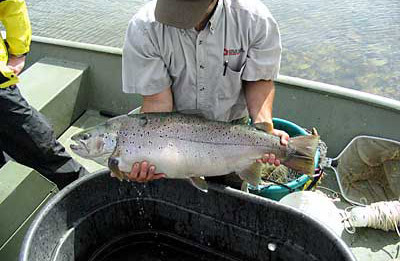 According to the book Trout and Salmon of North America by Robert J. Behnke strains of Brown Trout over 100lbs. once existed in Europe as late as 1916. What’s the point? 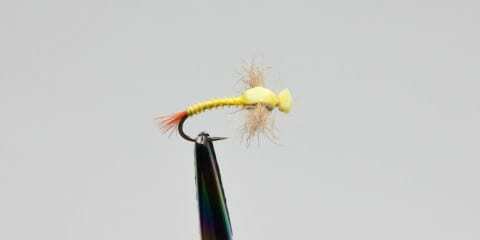 The point is there are far too many fly anglers content with catching 12″ dinkers without realizing there are bigger, badder trout right in front of them. This is not to say smaller trout are not fun to catch, however, if you want to mix things up, try something new and possibly catch what most consider the specimen of a lifetime – it may be more realistic than most people think. We get asked all the time about the fish we catch and people are always making comments so we decided to share some of the things that we’ve learned in our efforts looking for big trout. In order to have a shot at these fish first you have to know they exist and can be caught. It is only a guess but I believe 10 pound trout can be found in several bodies of water in most of the States or Canadian Provinces where trout are readily available. This was made crystal clear to me after discussing shocking studies with fellow Outsmartingfish guy dude Phil Tuttle, who is a fisheries biologist for the State of Utah. He told me how frequently they see trout over 24″ and sometimes in small streams. No more than a year after meeting Phil, he and I were fishing a skinny water that fed a larger system hoping to hook up with a big bow that had been recently spotted. At two thirty in the morning Phil’s mouse was engulfed by what turned out to be a beastly 34″ hen bow. So what was a bow that big doing in a shallow water? Who knows for certain, point is it was there and we caught it on a fly! 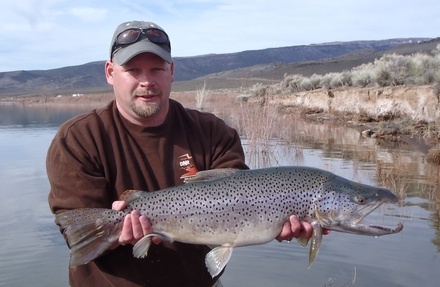 Pictured here are a few examples of big browns surveyed in Utah waters (Jordanelle and Otter Creek) published in the Salt Lake Tribune. And no if these had not been published we would not have hotspotted these locations or fish. How to locate a body of water that has trophy fish. What to look for; food sources, water type and quality. 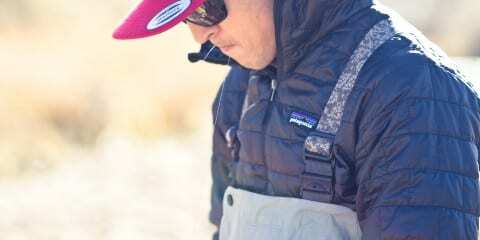 When to fish: seasons, time of day, the best weather in which to fish. 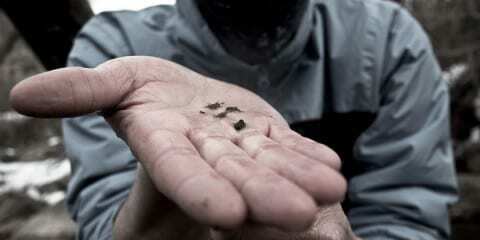 Gear, flies, nets and tactics used to catch a big trout. How to land a big fish once it is hooked. 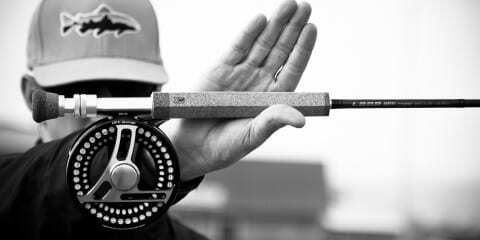 If you walk away with one thing from this intro we hope it is this; big fish, in particular trout, live in a river or lake near you and you can catch them when the right tactics are employed. So go ahead, make it a goal to catch Hog Johnson this year and start learning some battle tactics right here. Most people don’t know or aren’t willing to go through the effort it takes to find and catch big fish. It’s not for everyone but we’ve used this as a motivation to explore and fish new places over the last few years and it’s taken us to some awesome places and unforgettable fish. If you have questions or suggestions please feel free to leave them in a comment below and we can address them in the coming posts. If you have other insights or feedback (good or bad) please leave those in the comments as well. We always enjoy hearing from friends and our readers. Go fish! Nighttime is a great time to chase big fish so for some pointers on night fishing check out our post on Night Fishing Tips. One of the most appealing parts about your blog here is the HOGS regularly displayed for our viewing pleasure. Making this info available is an exciting prospect for we fly fisherman who primarily hook up with minnows. I think putting in the time provides most of the big fish catching opportunities, but some tips to expedite the process from experts such as you will be greatly appreciated! I’m looking forward to this series! You guys are consistently catching big fish and I look forward to reading what you have coming! This is an amazing topic and one that is not discussed enough by people that regularly catch big fish. I look forward to reading it. You dudes consistently feed my hunger. I am looking forward to what will be discussed! Great topic. So many large fish are walked past and over every day by anglers. Where I now live and fish, in the northeast, people are AMAZED when we stick a fish that looks out of place. “That fish doesn’t belong in this river” is common place. Took me a long time to realize that if there is an 18er that I saw, there’s a 20+ that I haven’t. 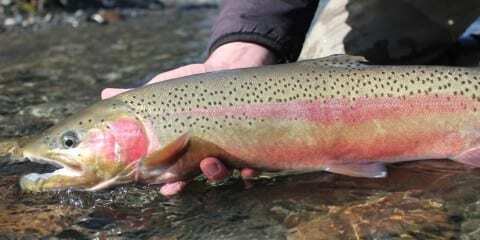 Understanding that they DO exist in nearly every healthy river, and then specifically targeting the beasts is a paradigm shift for many people; but the reward is well worth the effort. This is an interested topic to me as I have recently seen many large Browns being caught in Wyoming, which to me is amazing. 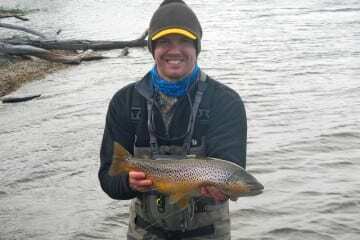 I personally have caught many Browns over 20″ and a few pushing 30″ or above, however I am fishing in Wisconsin for lake-run Browns. The World record was caught in the Milwaukee harbor (not on a fly) and I have seen how these beasts grow. 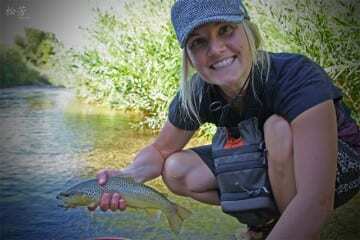 In inland streams in WI I know some who have gotten Browns over 25″ and I have only seen a 17″ Brown. In my estimation, I do not have the experience to locate and present flies to large inland browns, but I have learned from stubborn spawning lake-run brownies that it is more about presentation and approach than fly. This year I caught a +20 incher after having cast to it over 20 times, but this is not the norm. Typically if they see you, its over no matter how hard you try, or even rest the fish. I look forward to these posts as I know there are big browns around and I have yet to find one (inland) which to me, is a far far greater feat. Sorry for writing so much but one last thing. Having caught Browns and Steelhead over 30″ and Brookies over 20″ (Canada) I truly believe that the water determines the satisfaction and no trout has ever disappointing. For me the goal of fishing is unknown, it is so much greater than the biggest fish in the river (definitely an aspect) but the pursuit of something illusive as a whole. Eh, I could be wrong here to. Thanks for the wonderful posts and pictures!